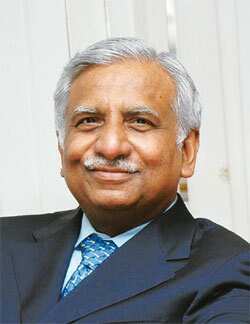 Winning bet: Jet Airways’ chief Naresh Goyal. New Delhi: The gamble by Jet Airways (India) Ltd to convert two-thirds of its dual-class fleet into an all-economy configuration under the Jet Konnect brand has finally paid dividends. According to passenger traffic numbers released by the Directorate General of Civil Aviation (DGCA) for October, Jet Airways has increased its market share to 19.8% and together with JetLite commands at least 27% of the domestic market. In May, Jet Airways, with a domestic market share of just 15.7%, had opted for an all-economy configuration on a majority of its flights. Of the 385 daily Jet flights today, including international services, at least 185 are dedicated Konnect flights. Konnect only flies domestic routes. DGCA passenger traffic figures released on Thursday also show a year-on-year growth of 26.51% in passenger traffic for October. Unlike 2008, when traffic slumped, a comparison with October 2007 shows airlines carried 3.96 million passengers this time versus 3.63 million then, signalling a revival. “The decline in growth was arrested in March, and from the beginning of April we are seeing a period of recovery accentuated in July and now in October. We are seeing a rebound in traffic sharper and higher than what was expected," Kaul said. He added that part of the spurt in October numbers was because the festival season happened to be earlier than usual this time and fares were much cheaper. “...30% growth, that scares me. Because it shows weak fundamentals for airlines," he said, referring to the losses incurred on selling tickets below cost. Konnect’s surge came at the expense of other LCCs. SpiceJet Ltd’s market share fell to 12.4% from 13.2% in September. IndiGo fell to 13.6% from 14.3% and GoAir to 5.4% from 5.8% earlier. Despite the drop, SpiceJet said it was bullish on the current quarter. “We have had four months of strong growth (25%) in demand over last year, which is encouraging," said Sanjay Aggarwal, CEO, SpiceJet. “The outlook is positive and bookings remain strong despite the recent nominal increase in fuel surcharge." Airlines increased air ticket prices by Rs100-200 this month as fuel prices rose about 10%. The market share of Kingfisher Airlines Ltd dropped to 20.7%, also its biggest decline this year, from 23.3% in September, because of what Kaul called a “drastic cut in capacity". Air India saw its biggest jump in market share for the year to 18.6% from September’s 17.5%, despite labour unrest. “In the past few months, they have secured some quick wins like aircraft utilization, on-time performance," Kaul said. “Overall, there is no tangible change. The more Air India gets weaker, the benefit will go to Jet and secondly to Kingfisher, if they don’t get their act together.